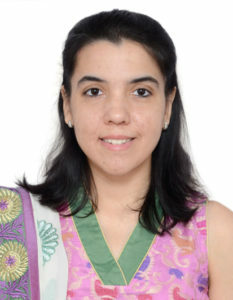 About the Author: Dr Pallavi Kelkar, Pune, India. Assistant Professor, School of Audiology and Speech Language Pathology, Bharati Vidyapeeth. I always describe myself as a speech therapist who tends to focus more on the “P” in PWS- the person more than the stuttering. Because of this, all my reading, research and clinical work has been along these lines for the past 10 years. As part of my doctoral dissertation, I constructed an Impact Scale for Assessment of Cluttering and Stuttering (ISACS), which is now in the process of translation and validation in different Indian languages. The distinguishing feature of this tool is that it has a parallel form for significant other persons of the PWS/ PWC, thus making them equal partners in the therapy process. Through the ISACS and through the online conference this year, I would like to encourage not only persons who stutter but also their near and dear ones to “Speak their mind”. All of us with “no speech problems” (if there ever was such a thing) must have heard at least one person speak this way. In the movies, perhaps– mostly comedians, of late even protagonists– and of course in real life. We attribute it to “psychology” or “speaking in a hurry” and rarely give it a second thought. But is it as easy for those who stutter to dismiss it from their lives? Says Mr. Kirtane, father of 3 year old Rohan, “I saw him put a hand over his mouth when he stuttered, and it broke my heart.” Having a non-stuttering, extremely expressive older sibling just made matters worse for this bright little boy who was just beginning to notice something amiss with his speech. Therapy with such little children involves working majorly with the people around the child, and very little with the child himself. Parents need to be trained not to draw the child’s attention to the stutter, and ensure that the child associates speaking with secure, relaxed and happy feelings. Targeting these and other goals tailored for him drastically improved Rohan’s speech. The beaming father met me just last week, saying, “He hardly gets stuck now, probably just once or twice in a week.” But what makes me happier as a therapist is that Rohan is not bothered by his speech anymore. This is a major milestone achieved, because most children with stuttering are extremely sensitive, very aware of listeners’ reactions, easily affected by even slightly negative experiences. Such was the case with Priyanka, an earnest, hardworking 9 year old studying in quite a competitive city school that was well known for churning out “all round achievers”. Her stutter was not severe—she probably got a block once or twice in a sentence. (Yes, there are cases much more severe than that!) The bigger issue here was her need to always form a good impression, and the fact that she felt speech was an integral part of that “good impression”. Another layer to the problem was that her mother had experienced stuttering as a child. So there were the added emotions like the mother feeling guilty (in an irrational way, for possibly having passed on her stuttering to the child) and scared for her daughter, reminiscing the tough times she herself faced as she grew up. Needless to say, Priyanka sensed this anxiety, and the stress made her stutter even more. Speech therapy in this case could not be restricted just to speech, but involved actively resolving the speech related anxiety and self- consciousness in both – the parent and the child. Armed with her changed attitude towards speaking, Priyanka now actively participates in debates and elocution competitions in school, often outdoing the children who never had a speech problem. She does stutter occasionally when she’s excited or upset, but she no longer considers it an obstacle to forming a good impression. One can’t help but notice the common thread that runs through Rohan and Priyanka – that they both, occasionally, still stutter. A few people with stuttering might even stop stuttering completely later in life, but many don’t. Acceptance of stuttering, therefore, is a key step in stuttering therapy. In the absence of acceptance, a vicious cycle of stuttering begins, where stuttering feeds stress and stress feeds stuttering. The cycle, if not broken with timely help in the right direction, could produce young adults with a severe stutter accompanied by extreme self-consciousness and low self-esteem. Preeti, a brilliant young girl of twenty- something years walked into my clinic a few years back. She was extremely well read, loved to philosophize and had so many interesting things she could have loved to express. But her brilliance was masked by shame and hopelessness at the very thought of her speech problem. For the first few sessions, merely talking about stuttering made her well up. Delving deeper into her thoughts and emotions unearthed a lot of expectations – some from herself, many from others around her – and despair when those expectations were not met. Since Preeti’s stutter was severe, she required about 8-9 months of active speech therapy training her in exercises and techniques to overcome the involuntary physical act of stuttering. In addition, therapy activities were also chalked out along the principles of Rational Emotive Behavior Therapy, an approach that taught her to take control of her own thoughts and emotions, thus greatly reducing her feelings of helplessness. In Preeti’s words, “My speech therapy did not transform just my speech – it transformed me as a person. It made me realize that I am my own master, that no one else has the right or ability to mould me. I don’t need to conform to anyone else’s definitions of perfection anymore.” And so she didn’t. She found a partner who appreciated her as a person, irrespective of the mild stutter that she still has. Married now and working in a company that offers her job satisfaction, a non-discriminative environment and a huge pay packet, Preeti has finally found the key to her happiness. And yet each of the individuals mentioned here would prefer to keep their identity a secret. They can vouch for the people they know and love, but they are not sure if society in general would be as unbiased towards them. Their past experiences have taught them otherwise. It is high time we stop noticing a stutter with raised eyebrows, and start giving it about the same importance as we would give to any tendency – asthma, or acne, or a spectacle number, or perhaps being a little overweight. Let us not be impressed only by a Hrithik Roshan (Indian movie star), or a Bruce Willis, or some other famous personality who stuttered. Let us, instead, look with admiration at success stories woven by common people around us. This is good, this is really good Pallavi! We need to take charge of our own lives, nobody can for us. Thanks Elias! Glad you liked it. Thank you for brining up the secondary characteristics that your clients experienced. I feel from what I have learned so far in my studies in speech pathology is that sometimes the secondary characteristics brought on by stuttering are what impact people more that the stuttering itself. I am glad to see that your clients have overcome the psychological and behavioral tendencies that accompanied their stuttering. I also like how you involved the parents with your younger client. I feel that parents want the best for their children and telling them not to stutter or to try and speak fluently at all times is not realistic when the parents themselves are not always completely fluent. As you said, acceptance of stuttering is key in therapy, and I feel like both the individuals with the stutter as well as those around them need to accept that this is something that is involuntary and is only one part of what makes an individual unique. I am wondering if you have any suggestions for parents and the general public for how to go about spreading awareness for stuttering and its acceptance? Thank you for your insightful post! As you correctly pointed out, acceptance is the key. In parents, acceptance replacing anxiety can enable them to openly talk about their children’s stuttering, so that it no longer is a big deal for the child, and any kind of sympathy coming their way from the general public would be replaced by admiration. In India, I feel the media could play a major role in awareness and destigmatization, which I’m afraid it doesn’t. I recently had a futile conversation with a newspaper column editor who insisted I mention names of persons with stuttering along with their case studies, to make them “interesting stories” . Of course I didn’t, and he couldn’t quite understand why. He said “What’s the big deal? Stuttering is not a contagious disease that people shouldn’t want to come out with it..” So clearly the media has a long way to go in understanding stuttering. Once that hurdle is crossed, I’m sure awareness will spread exponentially. Any ideas how we can cross it? I feel as though the reporter was at the other end of the extreme of awareness. Being a person who stutters is a personal experience and if your clients did not want to share, it is their right not to. I feel that general awareness will be an important first step, and possibly give those who stutter more confidence in sharing their story without fear of being ridiculed or pitied. In the case of the reporter, I feel that if individuals with background knowledge in communication disorders are able to use outlets like a newspaper to give general information about what stuttering is and how to appropriately interact with individuals, it may be a small first step towards awareness. Do you think there are any differences in the media’s portrayal of stuttering between India and the US? No way of comparing really. I’ve never lived in the US, so I wouldn’t know what the general attitude of the media there is like. Maybe someone who has can answer this one? Thank you for this insightful post! As an SLP graduate student, we often discuss the attitudes of how a person who stutters feels towards their disfluencies and how parents tend to blame themselves for their child’s stutter. We tend to only discuss building rapport with the client, so I am curious if there are other strategies that can be implemented. I was wondering what strategies you tend to use to target a child’s speaking anxiety, specifically when working in a school system where parent involvement may be minimal? Thanks! Thanks Sara! I feel rapport gets built automatically if you’re an interested and empathetic listener. Even children tend to sense your attitude and open up once they do. I use REBT principles in a child friendly manner to work on a child’s attitudes. Rational stories for children are one of the main tools I use for a child who is aware. This works in school settings as well. When I worked in a school, I always made sure I had frequent meetings with parents. I also maintained a notebook that was sent home with the child after every session. Parent involvement can this be ensured in school settings as well. Teachers help you a great deal in the whole process. Thanks for the interesting article! After reading your article and the comments, it seems that often it is the secondary characteristics that are more harmful/debilitating for the individual who stutters than the act of stuttering itself. It is important to address both the physical act and emotional impact in speech therapy. How successful are/were you in using the REBT principles with children? Hi.. glad it was a good read. I had quite a bit of success using REBT in children, more than I expected anyway. In children the progress is apparent when you hear the child participating in more speech related activities, or when you hear conversations that the child has had with peers. E.g this child who had a lot of confidence issues because of his speech finally came to a stage where he smugly said, “Well, this is how I talk” in response to a friend’s reaction to his perceptibly slower rate of speech. I naturally told him how proud I was of him! Thank you for the awesome article. I appreciate your experience with the emotions and other concern related to PWS. I’m currently a graduate student that lives in an area that deals with a large range of different cultures. Do you feel that individuals from different cultures should be treated similarly in regards to the emotions related to stuttering? For example, if I had a family from India with a child who stutters and a family from here in the United States who have a child who stutters, would you address emotions and anxiety in a similar way or are there cultural aspects that need to be accounted for? Hi.. thanks for the comments! Rather than culture, I feel counseling and dealing with emotions should be specific to every family. Every parent’s approach to their child is different and is based on their belief systems, parenting styles, etc. These cannot really be generalized within a culture. So naturally one cannot have a set of rules specific to a culture. Hope that helps! I am a current Speech-Language Pathology student attending the University of Minnesota-Duluth. I am enrolled in an Advanced Fluency Disorders Class, so this post was an excellent read for me. What are some of the techniques that you use with client’s to desensitize them to listeners’ reactions and negative experiences? We often talk about the causes, diagnosing and the treatment of stuttering and cluttering but do not often receive training for the counseling aspect. What are some strategies that you teach your clients to use? How do you work with them toward acceptance? Have you ever experienced working with a client who has a stutter but the parent is not involved? How do you go about ensuring a young child’s success in this situation? Thank you for your post! About your first question, I use principles of cognitive behavior therapy to rectify magnified perceptions of negative experiences, and REBT to help cope with extreme negative experiences if they do occur. Strategies like disclosure are also discussed. Gradual exposure to feared situations while continuously acting as a support system also works well. As for parental involvement, I insist on it while initiating therapy, even in a school set up. Of course in some instances parents need to be pushed and motivated to be more involved. In-session training helps. I am a graduate student studying speech therapy! I really enjoyed reading your post and I felt like it was very helpful in regards to learning more about stuttering therapy. I am currently taking a fluency class focused on stuttering and we have begun to discuss therapy. From your perspective, what therapy have you found most useful as an SLP? Do you have any advice for beginning SLPs and treating stuttering? Excited to hear your feedback! I prefer fluency shaping approaches with adults. I accompany these with token economy for kids. Beginning SLPs, or anyone involved with PWS for that matter, should essentially have empathy, and a desire to ultimately change the person’s life for the better, not just improve fluency. Thank you for writing this, I appreciate the examples and outcomes you outline of patients you have worked with. You mentioned acceptance as a key step in stuttering therapy. I was wondering if you have ever experienced any patients that were just not able to come to the point of acceptance and in your view, what the reasons and outcomes of that inability to reach acceptance were. Thank you for sharing your experiences and these stories. There was this child I came across, who I thought had accepted his stuttering beautifully, so much so that it was too good to be true, and it was! Sure enough, he started showing subtle word avoidances and postponements. The only way out was to deal with these afresh, and talk to him (he was 11 then) about the repercussions of “tricking himself about having accepted his stuttering”. Making him write down his thoughts helped as well. My name is Jamie and I am a 2nd year graduate student (speech-language pathology) at the University of MN – Duluth. I have been learning a lot about acceptance of stuttering in my advanced fluency disorder class. I recently attended a panel of PWS who talked in great detail about the acceptance of their stutter. What was your turning point for accepting your stutter? Did it happen within you/or did you learn how to accept it while in formal speech services? I am not a person who stutters, but have been working with quite a few of them. Rather than one point of epiphany, acceptance is a gradual process of “self training”. It takes a lot of hard work by the therapist and much more by the PWS. Honest and complete acceptance of any problem, in my opinion, can very rarely be achieved, but we can certainly help PWS get as close to that point as possible. Thank you for sharing your experiences and how you deal with your patients. I am currently studying to be a SLP and will keep your advice in mind as I am working with patients in the near future! I love how you say that your are focused on the person more than their stuttering. How would you advise parents of children who stutter to focus more on their child, then his/her stuttering? I use a lot of visual aids to help the child “look at” his personality as a cluster of several traits- good and not so good- and not just his/ her stuttering. The parent is usually present in these sessions and in fact, helps the child “discover” himself/ herself. They subconsciously absorb this attitude themselves, somewhere along the way. The rest can be done through periodic counseling after the session, with the child playing outside, out of earshot. Reading this was such a pleasure! Thank you for sharing your experiences about some of your clients. As a future SLP, I like to see how therapists approach people who stutter in therapy sessions. You highlighted that the end goal was not to make them perfectly fluent, but to give them the confidence to speak their mind. I’m sure you have discussions with your clients in the beginning of therapy that the goal isn’t to “cure” the sutter but to focus on them as people and efficient communication. Did you ever feel the need to educate their family and loved ones so that they would understand this? Of course, that is an essential part of therapy. In fact, the impact assessment tool I have recently developed looks at impact from the perspective of significant others as well. A discrepancy in impact scores can then be looked at and tackled appropriately wherever necessary. I thoroughly enjoyed reading your article. As a graduate student of speech-language pathology, this subject is very interesting to me. When working with the second client you mentioned, Priyanka, did you also work with the mother on changing her attitude and beliefs about stuttering? Previously you mentioned that when working with young children it’s mostly about working with the parents, I’m just curious about what age you feel that shifts to working mostly with the person who stutters? Your comment about the individuals preferring to keep their identity secret leads the reader to believe that there is still some shame felt, about the unknown from stranger’s reactions to finding out they stutter, which is unfortunate. Hopefully, as society meets more of these bright, functional individuals that are living a full life with their stutter, perceptions about people who stutter will change. The age at which the shift happens will differ from child to child. I have seen a three year old who was very conscious of the way he spoke, and a 4 1/2 year old who was completely unaware. The relative balance of therapy will therefore be decided after a thorough assessment of severity, awareness and environmental factors. Thank you for sharing this! As a Speech Language Pathology undergraduate student, I am very interested in learning anything I can. Do you think that therapy dealing with one’s emotions and feelings is just as vital as the actual speech therapy? How does using Rational Emotive Behavior Therapy help someone with a speech or stuttering disorder? Yes, even more so! Long term positive outcomes depend largely on emotional regulation abilities of a PWS. REBT trains PWS to do their best and be prepared for the worst. That’s the secret to good coping mechanisms, isn’t it? My name is Hannah and I am a second year graduate student at the University of MN-Duluth. I am currently taking an advanced fluency course and learning about emotional aspects that PWS may experience. Throughout your post, I appreciate how you focused on the importance of concentrating on the “person” aspect of PWS throughout your therapy. As future SLP, I had some questions regarding working with PWS and their loved ones. How often would you say that you implement counseling techniques into speech therapy, specifically with the loved ones of PWS? Did you find that certain counseling approaches were helpful for working through emotional aspects that PWS may experience on the road to acceptance? Thank you for all of your insights! Like I mention in the article, loved ones have an equally important role to play as facilitators to coping with stuttering. So how often would I implement counseling techniques? Always! What techniques will depend on each person’s personality. But helping them face reality, and clearing out any distortions of reality helps a great deal. E.g. Will the entire room react negatively or perhaps 5 percent of the people? In that case, can we find ways to deal with it? Will thinking about it improve your speech?… questions like these lead to self discovery and clarity of thoughts in PWS, or anyone for that matter. Acceptance is a gradual outcome of this cognitive clarity. I really enjoyed this article. I am an undergraduate studying Speech and language Pathology/Audiology. I’ve learned as a speech therapist, your not just there to “fix” a clients impediment but to help them with not only bettering their speech but working with their feelings and confidence as well. This opened my eyes to how negatively impactful a persons anxiety around their speech impediment can be. In particular, I really enjoyed Preeti’s story. Its very inspiring. When doing emotional therapy to help clients with anxiety, what kinds of things does that involve? I really enjoyed this article! I am a graduate student studying Speech-Language Pathology and you say many of the same things as my professor does about working with people who stutter. It was a great read and I like how you say to focus more on the “p” in PWS than the “s”! Dr. Kelkar, I am studying to become an SLP, and I’m especially interested in the work you’ve done with parents. How do you approach working with parents who are less willing to decrease the intensity of their reactions to a child’s stutter? This is a really inspirational paper, thank you so much for your insights. I was wondering if you could go into more detail onto why or how someone can just lose their stutter and then continue to pick it back up later? This has always been a question of mine while I go though college as a Speech Pathology major. Thank you for sharing this, Dr. Kelkar! I am a graduate student currently taking a fluency disorder course. I feel that by reading stories shared by PWS is a great way to learn about the disorder. Each individual has different experiences, and it’s nice to know what works for them and what doesn’t. You mentioned Rational Emotive Behavior Therapy which we haven’t talked about yet in class, but I am now interested in learning more about it on my own. Also, I agree that we need to treat stuttering like any tendency, and I believe people in the field of speech-language pathology (including myself) can do much more to raise awareness and to advocate for fluency disorder. Personally, the more I learn about stuttering, the more comfortable I am to talk about it with other people such as my clinical supervisor, clients, etc. Again, thank you for sharing these invaluable stories! Love this paper! As a pws I didn’t know there were others who stutter until I was 27. I only had bad experiences, at home, at school and also with SLPs, i gave up on life. But found myself again when I met my “stamily” who got me, supported me, pushed and pulled me, and gave me a voice, so that I’m paying it forward today. During these years I’ve learned techniques, but couldn’t find myself to use them, as they were not me and I didn’t see how they would work. Years later I realized the techniques didn’t work as I was focusing on fluency! I got a job as a teacher and suddenly realized I could use the speech techniques to make my students listen and not loose focus. I learned to talk about my stutter to immediately take away any misconceptions, myths and other reactions, to be able to continue talking about other things, with stuttering no longer being in focus. I learned to use the techniques when I choose to, and to let go when I want to. That balance has improved my speech to the extend that both mind, emotions and speech are working together. Yes I still stutter, but I’m in charge and that gives me a fantastic feeling of pride, even when I stutter. Your way of treating clients makes all the difference and I am so pleased you shared your paper with us. Hi, Dr. Kelkar. Thank you so much for sharing these stories. It is so important for us to remember that we are treating a person more than we are treating any speech disorder. I loved the part about focusing more on the family and friends around a young patient than the actual young patient because it is so true and not enough people are able to see it that way! Thank you so much for treating patients this way, I hope that this mindset becomes more widespread in years to come.